The recognition and analysis of bloodstain patterns can yield useful information in investigations and at trial. 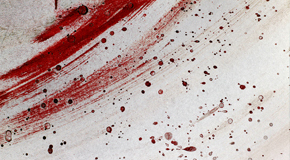 The general role of a bloodstain pattern analyst in a criminal investigation is to assist in the reconstruction of events of an alleged incident that could have created bloodstains and stain patterns present at a crime scene, on items of physical evidence recovered from that scene or on items of clothing that were present at the scene. In some cases, it may be necessary to conduct a bloodstain pattern interpretation using photographs. The usefulness of individual bloodstains and bloodstain patterns lies in their retention of information descriptive of the possible events that could have produced them. The sizes of the individual stains composing a pattern, the shapes of these stains and their distribution relative to one another can be utilized for the purposes of determining how a particular stain or pattern may have been produced. Bloodstain pattern analysis evaluations are conducted to determine what action(s) or sequence of actions could have created the bloodstains and/or patterns observed. Information that may be gained with bloodstain pattern analysis include, for example, the position of the individual when the blood was deposited (sitting, standing, etc. ), the relative position of individuals at the time of bloodshed, the possible type of weapon used as well as possible mechanisms that could have produced the blood staining on a surface. *This is not a valid name. *This field is required. *This is not a valid email address. *This field is required.